Why Do 60,000+ People Want To Take A Class On Artificial Intelligence? On July 1, 1948 Bell Labs published a press release(pdf) announcing a new product they had invented called the Transistor. Notice the use of the phrase “may have far-reaching significance”. Back then, even the scientists who invented it could not have imagined the transformation it would bring to the world. The Internet is the child of the transistor. It’s transformative powers are as great as it’s parent. We are witnesses to a great change in human history. The last equivalent one was the industrial revolution. That revolution was brought on by steam power. You can say that steam power was the Internet of it’s time. So why do I bring this up? Well, we are starting to see the children of the Internet emerge in education. I would point you to two stories that foretell the future. This article talks about an experiment in online learning. 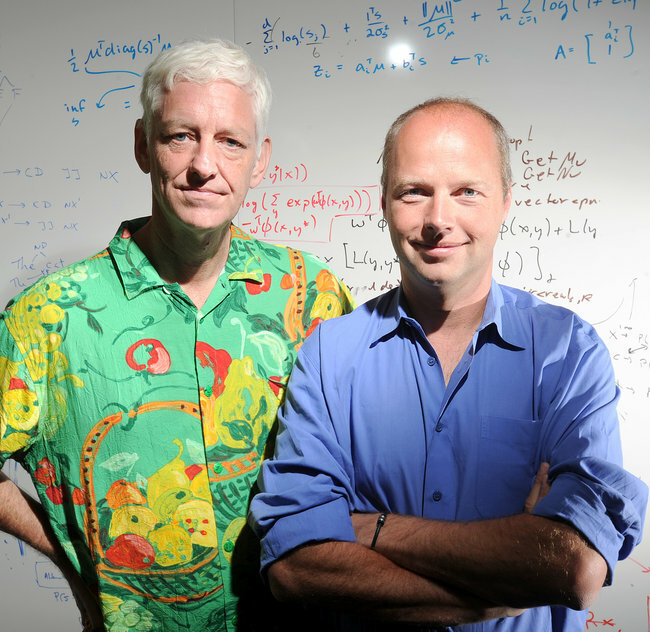 Two very well known professors in Artificial Intelligence from Stanford University are giving a free online course. You don’t get college credit for it but you will get a certificate of completion. So far, over 60,000 people have signed up to take it from around the world. So how in the world are they going to pull this off? They mention a combination of technologies to help with grading and evaluation. If this works it will have huge implications. Let me explain. 1. People want to learn. There is a massive market out there for people who want to learn things. I would bet that maybe only 1% of the people who signed up are actually in the field of AI in any way. The vast majority are doing it because it sounded interesting and it was free. I imagine that only about 5% of the signups will actually finish the class but is that a problem? 2. Something like this completely upsets the whole university model. Imagine if they had charged $100 instead of making it free? You would have reduced the participants hugely I am sure but you would still have had a lot sign up. So rather than 60k you might get 600. That’s $60,000 at 100 a person. How much does a professor get paid to teach a course today at a traditional university? The second article relates to the first one. I think everyone can be a teacher in some way. They may not be good in the classroom but for every student out there, I think there is the perfect teacher for them. A company called Skillshare is creating an online marketplace to match teachers and learners. Basically anyone can sign up to offer a class on a subject of their teaching. People sign up, pay a small fee and learn. They can rate their teachers which will help good teachers be promoted rapidly. I think we will see a lot more of this. People who don’t want a career of teaching can offer occasional classes when they want. Where this will be really important is for our rapidly changing world. Say a new product comes out. The very next day, classes can be offered by people involved in testing it. Heck, you could even have low cost classes offered on how to play certain video games. Why not? If you combine this with mobile technology, you can fit this into our on-the-go lifestyles. While I am at the store waiting for my wife, I can be watching a lecture or taking a quiz or chatting with my classmates. The infrastructure to match teachers with learners used to exist only at the University campus. Now it is simple to do it online. Keep in mind the one big ability of the Internet: to connect people together. It matches wants and needs with providers. So what are the long term implications? Well, many Universities are in trouble. Everything that is extraneous to the actual learning experience (like a football team) is going to be an expensive liability. The big winners here are actually professors. (Some of them anyway). If you are a good teacher, you will be able to make a lot more money online by directly teaching to your students. You won’t have to contend with administrators and will be able to teach any way you want. At the end of the class the students just get a credential that you endorse. Credentials from professors with a higher reputation will be worth more. Can you put a number on reputation? Klout thinks so. One way that Universities can evolve is to get professors in an exclusive contract. They kind of do that now. Students would have to pay a membership fee to the school to access the professor. Even so, it couldn’t be too expensive or else the professor won’t make as much money. You can teach to one student and charge $60,000 but if you teach to 60,000 students you only need to charge $1. Automation and AI are making it possible. Learning won’t be something that you put your life on hold for 4 years anymore. It will be woven into your day to day life. It’s going to be a golden age for learning but a lot of institutions will come tumbling down along the way. That is the essence of the Education Stormfront.